There is plenty of debate about whether or not dragonborn are weak compared to the other races in D&D 5e. Personally, I do think they’re a bit weak, but that’s beside the point. I’ve yet to see this have a negative effect on people choosing them. I’ve run or played in many campaigns and one-shots and there is almost always a dragonborn. They’re fun. Draconic ancestry gives dragonborn a ton of flavor. Breathing fire, acid, or lightning is awesome! But that being said, which draconic ancestry is the best? Should we be more concerned with our breath weapon or the damage resistance our draconic ancestry gives us? The real answer, of course, is “whatever dragon lineage sounds the coolest”. The mathematical answer though is going to take us a bit of time. Below is a table consisting of the draconic ancestry options. Draconic ancestry grants two benefits. First, it gives us a breath weapon which will be either a line or a cone attack and will be tied to a specific element. I wrote a post specifically about the cone vs. the line breath weapons previously should you need help with that decision. The second benefit is that the dragonborn gains resistance to the damage type of its breath. For example, if you are a gold dragonborn you will breathe fire in a 15 ft. cone and be resistant to fire damage. 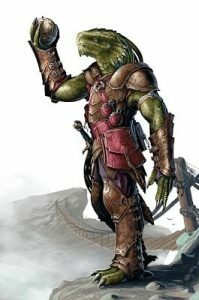 Green dragonborn are the prettiest… Credit: WotC. Now that we know what the draconic ancestry options are let’s first determine what we will be solving our problem for. Typically, will we want to be dealing more damage with the breath weapon or do we value the damage resistance more? The breath weapon scales very poorly for an ability that costs an Action to use. It deals a max damage of 5d6 at level16. That’s less damage, range, and AoE than Fireball which can be cast at level 5. On top of this, you can only use your breath weapon once per short/long rest. Your damage resistance, however, is constant. Resistance in D&D 5e reduces the damage taken of that type by 1/2. This will give you a better chance at surviving encounters, and giving you a larger window to deal damage, heal, or provide crowd control for your allies. This is very powerful should you encounter creatures that deal the damage you have resistance to. Now we have a criteria for what we can consider the best draconic ancestry. The survivability potential the damage resistance grants outweigh the damage of the breath weapon immeasurably. We will be able to determine this once we find what the most popular damage type is for creatures in our dataset. To determine what the best draconic ancestry is we will need a dataset of creatures that our dragonborn may face in their adventures. For the sake of this post, we will be using only the monsters from the Monster Manual. I got the numbers for the Monster Manual here. This will be the best neutral sample for determining which draconic ancestry is the best as it is essentially the base book of 5e. I have only included the damage types that are relevant to this post. The link to the Giant in the Playground Forum post by Yorrin includes all of the 5e damage types should that interest you. There are two very clear front-runners for damage types that creatures in the MM deal. Fire has the most with 46 creatures that deal fire damage and poison is not far behind with 43 creatures. Both of these deserve a spot in tier 1 for draconic resistance as a 3 creature difference is not a huge difference. Cold, lightning, and acid are all fairly close to each other with 23, 22, and 21 creatures respectively. These three resistances will consist of tier 2 for draconic resistance. Each contains only half as many creatures compared to tier 1 which will certainly hurt their chances in the running for best draconic ancestry. 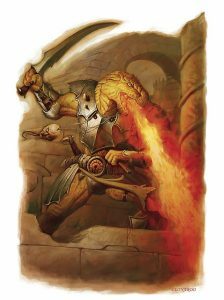 …though a red dragonborn is the PHB example… Credit: WotC. While we did previously state that we are more concerned with damage resistance compared to breath weapon damage it is still worth looking at. Creatures are separated into 3 tiers for their resistances & immunities. Tier 1 has the lowest amount of creatures in their damage types. Acid has 18 creatures with resistance and 15 with immunity to it. while Lightning has 35 with resistance and 10 with immunity. Acid is by far the best type to deal damage within our dataset, and lightning has the least amount of immune creatures which is a large plus. In general tier 1 is the most consistent breath weapon tier. Tier 2 has cold with 46 creatures with resistance and 20 with immunity, as well as fire with 37 creatures with resistance and 40 with immunity. This tier also has the only creatures with vulnerability to damage. There are 9 creatures that are vulnerable to fire damage and 4 creatures that are vulnerable to cold. While this tier has a lot of creatures with resistance and immunity, it also gives us some vulnerabilities making cold and fire damage viable breath weapon choices. The strange thing is how much worse tier 3 is for our breath weapon. It consists solely of poison which has 5 creatures with resistance and 95 creatures with immunity. That’s an absurdly high amount of immunity. If you are looking to deal damage with your breath weapon avoid choosing the green dragon draconic ancestry. Here is a more visualized breakdown of how these damage types are ranked with respect to draconic ancestry. As previously stated, damage resistance is considerably more valuable than breath weapon damage. That being said, we can eliminate all the damage types that were ranked in tier 2 in damage resistance. Cold, lighting, and acid are all viable breath weapon tiers, but they lack in the defensive category. This leaves us with fire and poison damage for our top 2. Normally I would leave it at that. However, there are some factors that give fire an edge over poison. First, fire has 3 extra creatures that deal its damage. Secondly, poison ranked terribly in the breath weapon category with 95 creatures being flat-out immune to poison damage. Therefore we can conclude that the best draconic ancestry is either the brass, gold, or red draconic ancestry! Gold and red dragonborn both have a breath weapon that is a cone-shaped attack which I have previously determined was superior to the line-shaped attack (in theory of course). … but brass, gold and red dragonborn are the clear-cut winners! Credit: WotC. This post made a few assumptions about what types of creatures will be in a game of D&D. While the monster manual is the best way to make a blind assumption, there are other variables that may affect how you rank each draconic ancestry. One variable is what the setting of the campaign your dragonborn will be in. This includes the types of creatures will be in that setting and what types of damage they deal. Are you in a volcano with fire damage being common? Brass, gold, or red are still the optimal choice. However, if you’re in the frozen tundra silver or white draconic ancestry may be a better choice. There is environmental damage to consider that this post did not account for when tallying resistances. Another variable is if your character will have access to other resistances. For example, if you are playing a bear totem Barbarian you will have resistance to every damage type outside of psychic while raging. You would then probably value your breath weapon more than your resistance. What’s an Encounter in D&D 5e? Nice analysis – do you think dex save vs con save matters as well? Thank you! I’d imagine that it does make some sort of an impact, but not one that’s more significant than avoiding damage resistances and gaining fire resistance. All 3 fire breath weapons require a Dex save anyways so there wasn’t much of a reason for me to dive too deep into that for this post. That being said it would be really interesting to see. Might be something for me to look into in the future though! this is really informative thanks! the damage dealt page was a great resource, im making a dragonborn draconic sorcerer which means i get a breath wep ofc but also 2 resistances basically. and it seems pretty obvious that having fire immunity is practically a must so ill put that towards my draconic bloodline trait with a gold dragon or something like that. im trying to find the best choice for my draconic ancestry though, it like a toss up between cold and lightning and its kinda hard to decide. they have very similar stats for resistance/immunity/damage dealt with lightning winning slightly. but cold has 4 creatures vulnerable to it which realistically isnt much. however based on the damage spread it seems the cold 15ft cone is a better breath attack vs the lightning 30 feet line. as so hard. it might have to just come down to a coin flip or something. any advice!? 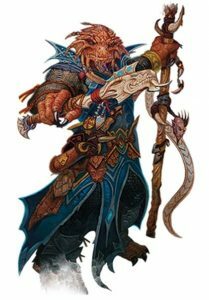 currently i’m playing in a storm king’s thunder campaign and im making this dragonborn as my backup character in case i die. so if i do need to use him this campaign in particular do you recommend one option over the other? what if i use him in a different one? Having 2 damage resistances is going to be ridiculously great no matter how you slice it. Good question! That’s a tough decision specifically for Storm King’s Thunder. Honestly either of those are going to serve you in some manner throughout that campaign. I would lead a bit more towards lightning though. In a typical campaign I’d probably swing the other direction and pick up cold resistance. I feel as though that while both have a very similar number of creatures that deal their respective damage types, you’re more likely to come across cold damage. From my experience there are just a larger amount of low-mid tier spells & creatures that deal cold damage as opposed to lightning damage. But it depends on your campaign setting as well!